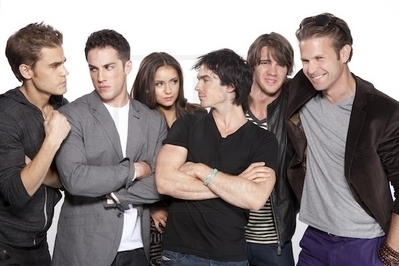 TVD Cast Shoot. 2010 litrato Sessions > [Set 16] Michael Muller. Wallpaper and background images in the The Vampire Diaries TV ipakita club tagged: nina dobrev ian somerhalder paul wesley cast the vampire diaries photoshoot 2010. This The Vampire Diaries TV ipakita photo contains business suit, mahusay bihis tao, suit, pantalon suit, and pantsuit. There might also be leisure wear, dress suit, full dress, tailcoat, buntot amerikana, tails, puting itali, and puti itali at tails.